AS Logistics, a reputable transportation company, offers variety of customized and cost-effective solutions for transportation by road. AS Logistics specializes in providing a seamless, sustainable and fully integrated transportation and logistics service; from source to delivery point. We support movement of goods to neighboring countries like Pakistan, Tajikistan, Uzbekistan, Kyrgyzstan and Turkmenistan to name a few.Your freight can be transported to any location in Afghanistan.Through our road solutions, AS Logistics offers a safe, economical and viable transportation means for your goods. Our all-inclusive road freight service runs across a global platform manned by a team of experts uniquely skilled at overseeing overland operations, including customs clearance requirements. As an international forwarder with a global covering agency network, highly motivated and dedicated team of professionals, we want the best road freight services for our clients.From consolidated shipments to Full Container Loads, from conventional cargo to break bulk, from over sized cargo to reefers, AS Logistics handles all your shipments and takes care or your logistics needs. Multi-Modal Transportation is a complicated and challenging project when it comes to Afghanistan, but our experience and network of reliable partners will provide you with the best multi-modal services.AS Logistics being a trusted transportation company in Afghanistan, offers efficient multimodal and intermodal transportation options for shipments that require a combination of air, road, rail or ocean transport. Our logistics specialists can help you plan and track your intermodal shipment to help you save money, reduce transit time and increase your shipment’s security. From departures to door-to-door delivery, we offer a comprehensive, highly dependable platform that functions seamlessly within both international and domestic landscapes. AS Logistics offers an unparalleled road service that ensures your freight reaches its destination with the utmost efficiency and speed.We closely monitor and coordinate all the counter agents involved in the process, so can assure reliable, timely and safe delivery. The logistics experts from the company evaluate your freight size and budget, to assist you in the most appropriate cost-effective movement of the cargo. With its seamless multimodal network, which goes down to the last mile, AS Logistics ensures that your shipments arrive dot on time. Our inland trucking service is no stand-alone service butpart of our comprehensive supply chain solutions. We truck your freight as part of a multi-modal solutionor door to door solution. LTL Trucking is at the core of what we do. Our direct LTL trucking service is the most efficient and cost effective method for moving freight from Hamid Karzai International Airport to any inter-Afghanistan destination. At AS Logistics, a top-notch transportation company in Afghanistan, we take out all the guesswork and enable you to offer customers total service. 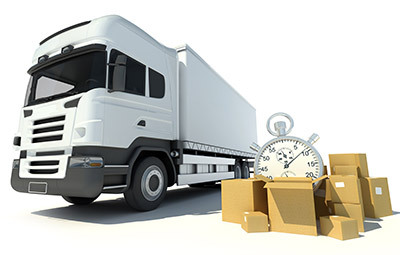 We can make all the arrangements to move your goods from your warehouse. We have the special equipment, cranes, forklifts and flatbeds, low-beds to handle virtually all types of jobs, from the over sized and overweight goods. We offer Full Truckload (FTL), Less-Than-Truckload (LTL), Flatbed, Intermodal and Specialty freight shipping options to both domestic and international clients. With a wide variety of AS Logistics-owned trucks, trailers and containers, we can help you manage your most sensitive high-value, over sized and generator-supported shipments. Our logistics specialists work with clients to define the most efficient, cost-effective transportation solutions to meet demanding needs, timelines and budgets. With an entire fleet of company-owned assets (trucks), we are prepared to handle any scale of transportation need including over-sized industrial shipments, intricate medical and telecommunications equipment. Each of our truck comes standard with tarps, padding, straps, chains, wood dunnage and/ if required with ITVs /GPS tracking devices.